Self Cure Remedy details of Take cayenne pepper for the care and relief of Hoarseness, including effectiveness and popularity scores of the remedy. This spice aids you in soothing your irritated throat, reducing swelling and pain or even fighting a throat infection. 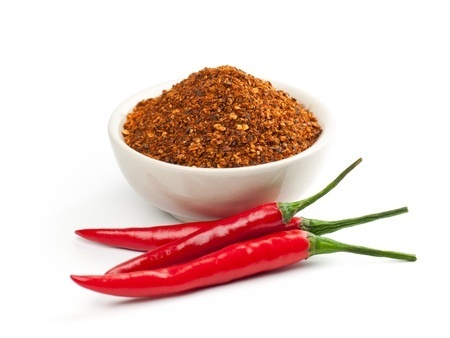 Mix half-teaspoon of cayenne into a glass of warm water. Add a little honey and drink it. The self cure remedy of Take cayenne pepper for the care and relief of Hoarseness has an effectiveness score of 3.5 and a popularity score of 58 on the self-cure system.